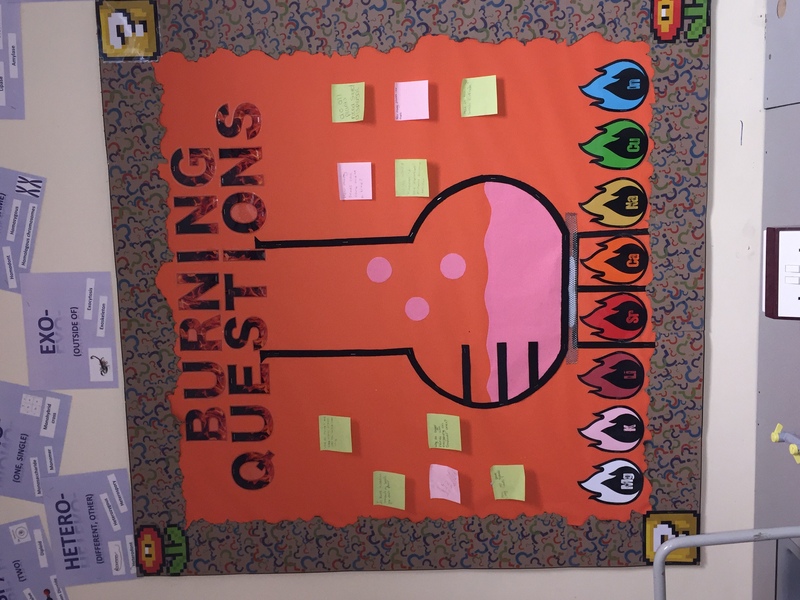 The purpose of it is for the pupils to write a 'burning question' on a post-it note and place it onto the board. The question could be about the topic they are learning or just something that they are curious about, the pupil could also write a question he or she knows the answer to or a question they don't. The teacher can go through the questions at the end of the lesson or topic, or even at the start of a new lesson to get the class involved in answering the burning question. 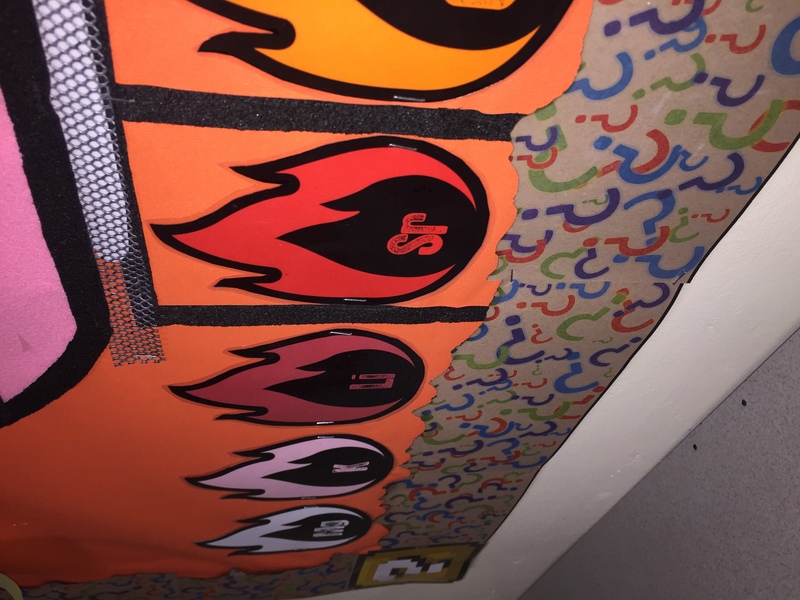 If a pupil answers a question right they write a new burning question for the wall. If questions can't be answers then they can be set as a research task. This helps teachers to identify easily the areas of a topic the pupils are struggling with. Obviously this is just a sugestion but this can be used how ever you like but it is a really nice and involving way of ending a topic or lesson. I'm a science technician who works in the school holidays and one of the science teachers asked me if i could have a go at making this board for them. It's so much easier to do when the pupils are not in school and it meant i could work on it all day without interuption. All in all i spent 2 working days on this including designing, cutting, laminating burning, stapling, gluing and colouring. I have attached all of the resources i made minus the font packs i got from the internet. The flames were printed onto coloured card that matches the colour that particular metal burns. The bunsen burner and conical flask theme obviously matches the science department but could be changed to suit whichever department. 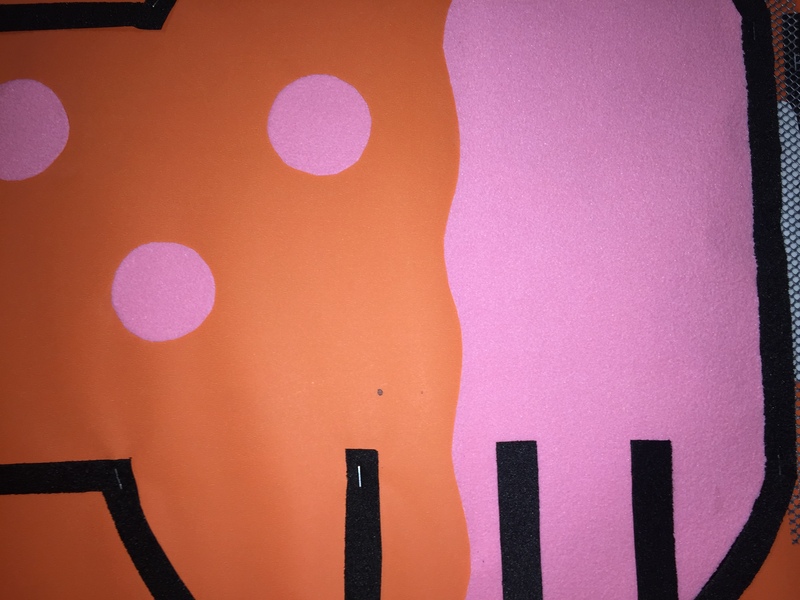 The conical flask was drew and cut by hand and glued down to the board, it is cut from a felt like material to make the board more approachable and touchy feely. The boarder was made from A4 card that i burnt the edges of each piece individually before it was stapled down. 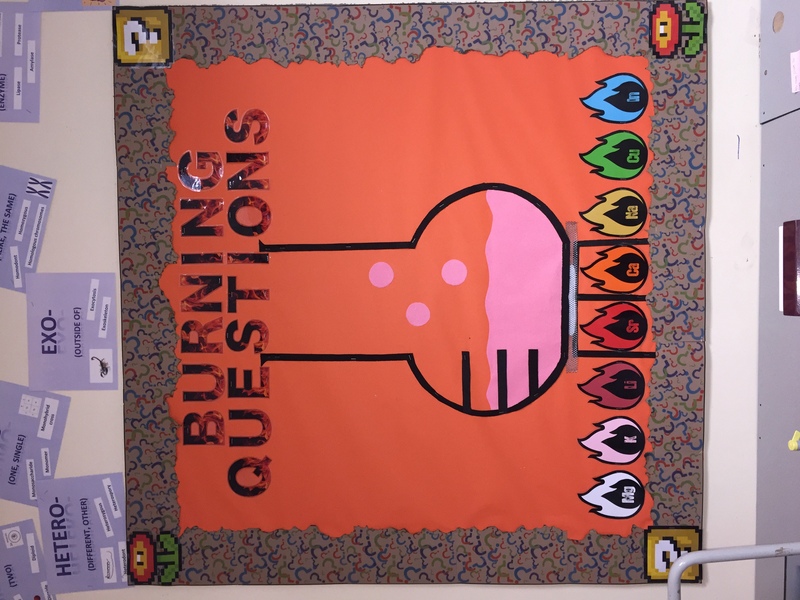 To hide excess bits and short boarder, I laminated familiar Super Mario fireflower and question box pictures i downloaded from google (8 bit ones have brighter colour) to simply catch the pupils eye and get them intersted.